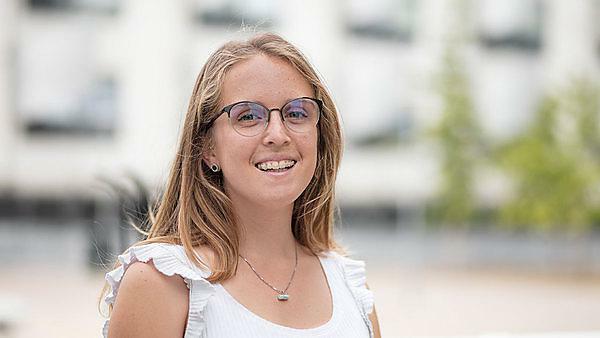 "I am in the third year of an International Business, Marketing and Commercial Management degree at ESIC Business and Marketing School in Spain. Moving abroad is always very hard at first. Initially, when I decided to do my traineeship in England I was very enthusiastic but as moving-day drew closer I began to feel afraid and insecure about my decision. However, those feelings soon disappeared when I arrived in Plymouth. Indeed, I have been fortunate to work alongside the Plymouth Global team. Everybody treated me really well from the day I arrived and now they are like family." "While my technical skills improved, insofar as I was exposed to new programmes and online databases, I would have to say that the most important skill I acquired during my traineeship was the ability to work effectively and co-operatively in a team. I think that every business could benefit from implementing something of the atmosphere at Plymouth Global." "I believe that everybody should do a traineeship or study abroad at least once in their lives. This kind of experience allows you to grow as a person because it exposes you to other cultures, traditions and ways of thinking. Living away from everything and everyone you knew at home allows you to mature, to become independent and self-reliant, and it also helps in terms of language proficiency, intercultural, professional, academic and personal skills." "The University of Plymouth and the Plymouth Global team did everything possible to make my stay in the UK as pleasant as possible." "The biggest challenge for me proved to be homesickness. Before my traineeship I had never been away from home for a long time. In the beginning, it was difficult to be a stranger in a new city. This made the first few days quite hard for me." "My biggest achievement was the improvement of my language and business skills. I would recommend Plymouth and the University and I felt very welcomed. What makes the city special is its maritime heritage and waterfront." "Mount Edgcumbe in Cornwall was one of my favourite local places. It is unlike anything I had seen before. When you visit, you can see formal gardens, coastal views, and a beautiful manor house with adjoining workshops and exhibition spaces. When I was there, most of all, I felt freedom. The atmosphere, as well as the beautiful landscapes, makes Mount Edgcumbe truly special."